We understand that sometimes budgets may only allow for reconditioned forklift batteries and chargers. Fortunately, we provide affordable, quality reconditioned and GUARANTEED products built to work efficiently and reliably in your facility. 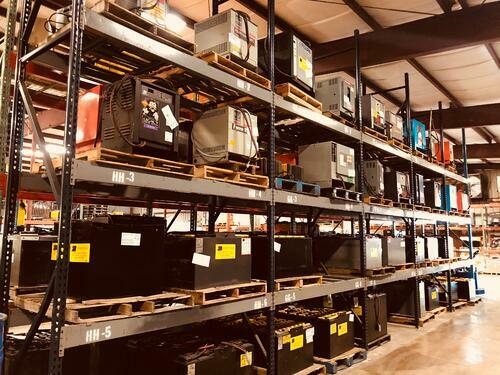 Our inventory includes reconditioned batteries, chargers, and battery handling systems. Rent batteries or chargers by the day, week, month or year. We can rent with option to purchase too! For more information on what reconditioned used equipment is available, call 866.350.3593 or contact us. Click on the images below to see batteries from our shop that Southern States Motive Power works with.